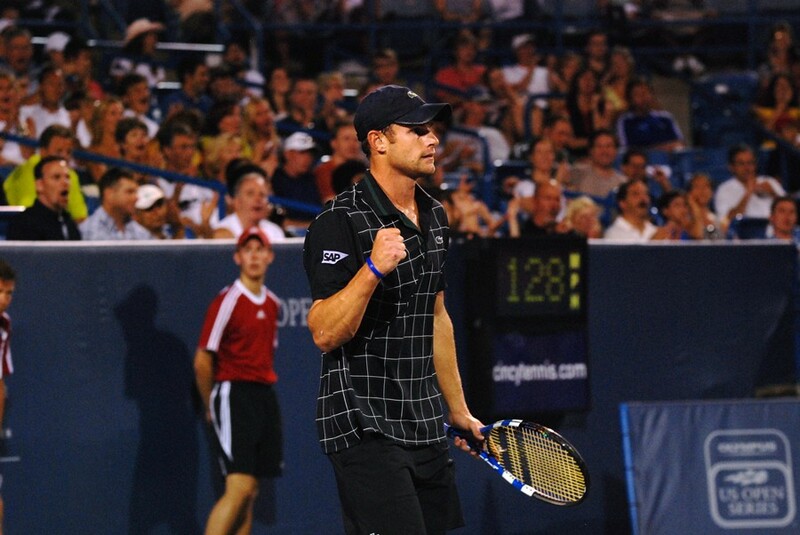 Two-time Cincinnati champion Andy Roddick headlines the Monday night schedule, while countryman Sam Querrey will headline the day session at the 2010 Western & Southern Financial Group Masters. Roddick will take on Ukrainian Sergiy Stakhovsky in the 7 p.m. match. Roddick won their only previous meeting 6-2 6-1 in Miami earlier this year. Making his 10th appearance in Cincinnati, Roddick, who is tied with Lleyton Hewitt for most wins here among active players with 25, won the title here in 2003 and 2006 while also finishing as runner-up in 2005. Overall, Roddick owns 29 career titles, including wins this year in Brisbane and Miami. Stakhovsky claimed his third career title earlier this year in ‘s-Hertogenbosch and reached a career high ATP World Tour ranking after Wimbledon. Following Roddick’s match will be fellow American Robby Ginepri against qualifier Somdev Devvarman. Ginepri reached the semifinals here in 2005, while Devvarman is a two-time NCAA singles champion. Querrey, the 2009 Olympus US Open Series winner, will face Philipp Petzschner in the third match on Stadium Court during the day session. Already in 2010, Querrey has won four titles, which is second on the ATP World Tour to only Rafael Nadal’s five titles. Petzschner enjoyed a great grass court season this summer, reaching the singles semifinal in Halle and winning the Wimbledon doubles title with Jurgen Melzer. Last summer in Montreal, Petzschner defeated Querrey in straight sets in their only previous meeting. Seeded Spaniards David Ferrer (No. 10) and Nicolas Almagro (No. 14) will also be in action on Monday. Ferrer will face Alexander Dolgopolov of the Ukraine, while Almagro will play Switzerland’s Stanislas Wawrinka. An unseeded Spanish player, Feliciano Lopez, will battle American qualifyier Taylor Dent in the second match on center court. They have split their two career meetings, with Dent claiming their last battle in four sets at last year’s US Open. A lone doubles match is on Monday’s schedule. Opening play on Court 3 will be Mardy Fish and Mark Knowles against Philipp Kohlschreiber and Gael Monfils.